Lexapro (generic escitalopram) is an oral medication used for the treatment of the major depressive disorder and generalized anxiety disorder in adults and adolescents. The escitalopram drug class is selective serotonin reuptake inhibitors (SSRIs). As the name suggests, these medications prevent the reuptake of a neurotransmitter called serotonin at the junctions between nerve cells in the brain. Low levels of serotonin are associated with depression. What does Lexapro do? By inhibiting reuptake of the neurotransmitter, the drug allows increased levels of serotonin to remain at the synapse (nerve junction), thereby improving mood, behavior, sleep, appetite, and other symptoms of anxiety and depression. How does escitalopram work? What are the side effects of Lexapro? 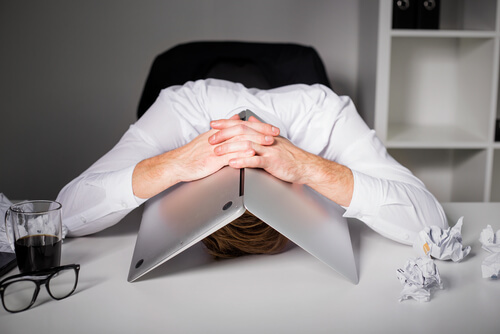 How long does escitalopram take to work? What are the risks of using this medication long-term? Read on to find out the answers to these questions and more. What Is Escitalopram Mechanism Of Action? How Quickly Does Lexapro Work? Shall One Stop Escitalopram With Symptom Improvement? What Are The Risks Of Long-Term Lexapro Use? What To Discuss With The Doctor Before Taking Escitalopram? 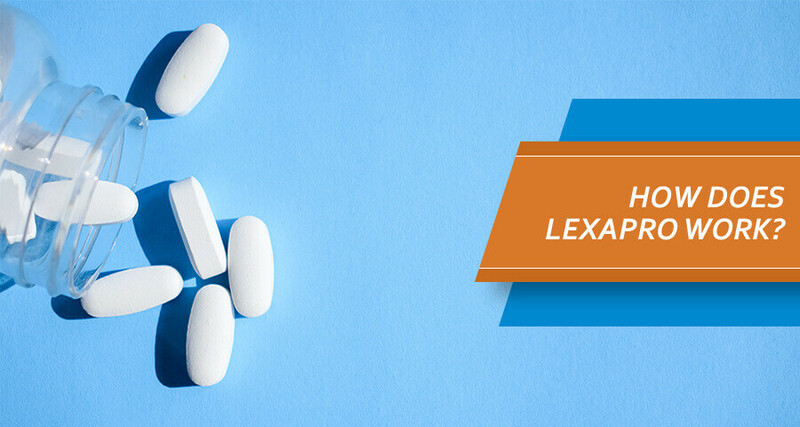 Lexapro (generic form Escitalopram oxalate) is available as a tablet or solution. Lexapro ingredients include certain inactive substances such as glycerin in addition to the active drug. Lexapro cost is relatively inexpensive, and the generic formulation is covered by most insurance plans. At the recommended dose of Lexapro 10 mg, this medication is highly effective in treating acute episodes of depression, including symptoms such as feelings of sadness, hopelessness, and guilt, loss of interest in previously enjoyed activities, sleep disturbances, suppressed appetite, and low energy. What is Lexapro prescribed for? It is given for anxiety symptoms such as irritability, restlessness, tiredness, and difficulty concentrating. What does Escitalopram do to improve these symptoms? SSRIs (selective serotonin reuptake inhibitors) block the reuptake of serotonin, a neurotransmitter in the human brain. This keeps serotonin in the gap between neurons instead of it being carried back into the cell. Escitalopram is a very potent SSRI, up to 40 times more powerful than R-citalopram, the other enantiomer of the drug. It is highly selective in blocking the reuptake of serotonin without affecting other neurotransmitters such as norepinephrine or dopamine. Serotonin (5-HT) is a chemical responsible for regulating some body functions, including mood, emotions, behavior, sleep, appetite, and sexual desire. How does Lexapro work in the brain? By blocking the transporter molecule that carries serotonin back into the neuron (nerve cell, it makes more serotonin remain in the synapse (junction between nerve cells). This amplifies the effect of serotonin and thereby reduces the signs and symptoms of anxiety and depression. Can Lexapro cause weight loss? The medication can indirectly affect a person’s weight. There are some reports that it reduces the severity of binge eating as well as body mass index in overweight individuals. Also, by treating the underlying depression, the drug can reverse appetite changes and potentially cause a weight gain or loss. Depression and anxiety can be crippling, affecting an individual’s ability to function normally in society. Therefore, it is not unusual for individuals struggling with depression to ask does Lexapro work right away? The answer is yes and no. For symptoms related to sleep, appetite, and energy, Lexapro works fast, and some improvement may be evident within 1-2 weeks of beginning treatment. Relief of physical symptoms is a good indicator that the medication is effective and doing its job. However, it is practically unheard of that Lexapro worked immediately for relieving symptoms such as depressed mood or lost interest in activities, and these symptoms typically take 6-8 weeks to improve. How long until Lexapro works can be explained by the class of drugs this medication belongs to. SSRIs, in general, take four to six weeks to kick in because of the time taken to suppress previously active serotonin transporter molecules. How long does it take for Lexapro to start working? Some people may not notice a difference for as long as two months. This delayed response is thought to be due to an impairment in the G protein signaling system which prevents the antidepressant from functioning properly when it is initially taken. There are usually very few Lexapro immediate effects, but the medication does eventually kick in with improvement in symptoms of depression and anxiety. People who have been prescribed this medicine may be tempted to stop treatment once they start to feel better. However, one should not stop taking escitalopram without talking to a doctor first. Only a physician can determine the appropriate length of treatment. Some people may need to discontinue treatment due to side effects such as Lexapro dreams. However, stopping the medication abruptly can result in withdrawal symptoms such as headaches, nightmares, dizziness, nausea, vomiting, and tingling/prickling sensations. Skipped doses can result in a relapse of symptoms. If Lexapro stopped working or the side effects are intolerable, physicians usually advise a gradual reduction in dose instead of abrupt cessation of treatment. Careful monitoring of symptoms is advisable while treatment is slowly discontinued. Is It Safe to Take Lexapro Long-Term? There are no reported problems with long-term use of escitalopram as long as it is taken according to the directions given by a physician. 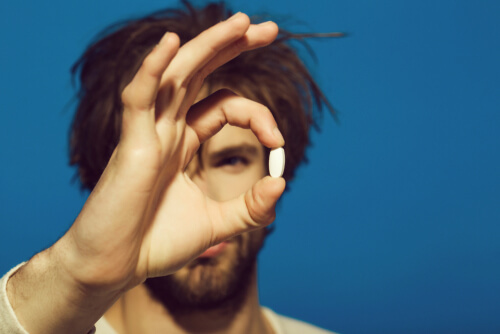 If the medication is used for an extended length of time, periodic reevaluation is recommended to confirm does Lexapro work and should maintenance treatment be continued. How does Lexapro work for anxiety? As noted, there can be a substantial delay before SSRI antidepressants improve symptoms. There are reports of worsening symptoms and/or increased suicidal ideation and behavior in vulnerable individuals, such as children, adolescents, and young adults, and these patients warrant cautious management during anxiety treatment. Also, certain drug interactions can cause problems. For example, using Lexapro and ibuprofen together can increase the risk of bleeding, especially in people with liver or kidney disease. Careful monitoring is needed when the medication is prescribed to high-risk populations, such as residents of a recovery center for drug abusers. 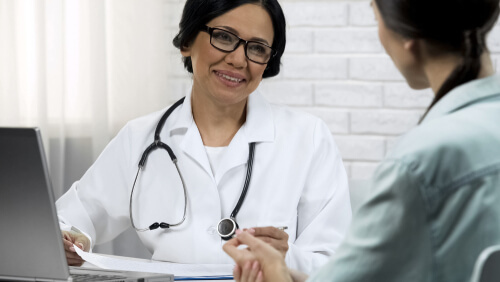 Not only is there a delay in how long does it take for escitalopram to work, but the drug may stop working due to worsening depression or other medical conditions and treatments, which is why it’s important to talk to a physician about concerns and questions. How fast does Lexapro work for anxiety and depression? When should I expect my symptoms to improve? How to take the medication? With food or without? At what time of day? What to do in case of a missed dose? Is it safe to combine escitalopram and alcohol? What other medications can it interact with? Is this a suitable treatment for those abusing drugs? Lexapro how long can it be taken safely? Although Escitalopram onset of action can be delayed, it is an effective treatment for depression and anxiety in many individuals. However, like all medications, it is associated with the risks of side effects, drug interactions, and lack of effectiveness. The important thing is not only how fast does Lexapro work, but discussing every aspect of SSRI treatment with a physician before starting on an antidepressant. Addiction Resource » Addictive Substances: The Anatomy of Drug Addiction » Lexapro (Escitalopram Oxalate) Use, Abuse, And Addiction » How Long Does Lexapro Take To Work?